Make the Most: Valentine's Day! Did you guys have a good Valentine's Day? I hope you did! While neither of us are one for the holiday, this was a big one for Brian and me. We've never celebrated it on February 14. Brian's crazy work schedule this time of the year doesn't allow for it, so for a couple of years we did Jalentines day—Valentine's Day, but January 14, get it? Writing that out just made me realize how embarrassing it is, eek— but that didn't last. It's a shame because we're big on dates. For our first date Brian gave me a choice of five he had brainstormed (the fifth being "whatever you like"—smart kid), and he's always making sure we take time, just the two of us, to spend time together and explore new parts of the city. So, imagine our excitement when dating and relationship company HowAboutWe offered us a date! A date! On Valentine's Day! You just have to budge your work schedule for something like this. 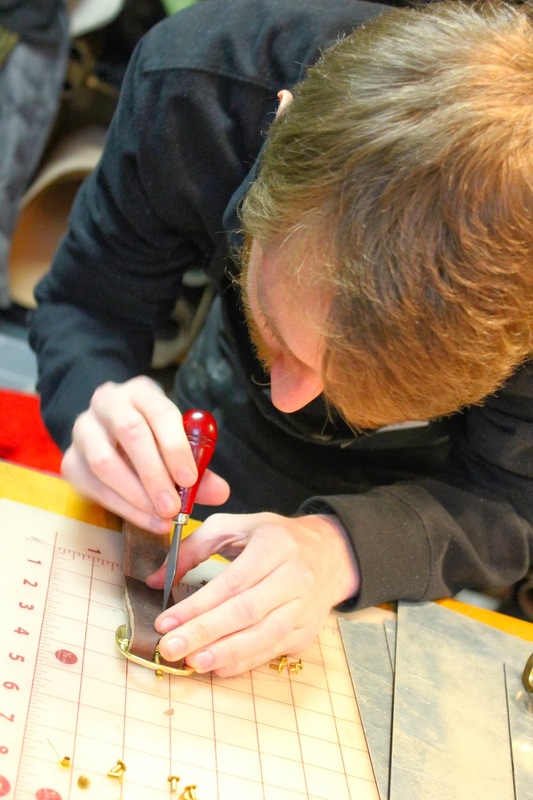 We debated taking a gelato making class, winemaking class, this amazing brunch or a scavenger hunt, but in the end we went with this leather gift making class. We were so pumped! 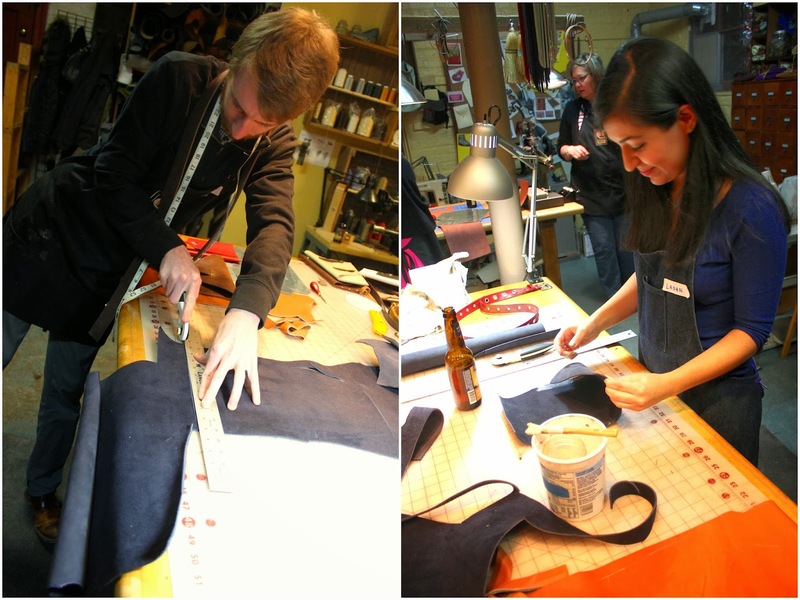 Our class was held at the Chicago School of Shoemaking (Check out the videos on the site! The shoemaking class looks so neat! ), and I was kind of nervous about going (Brian ultimately picked the date...). I dreaded middle school shop classes, and I'm just not crafty, but our teacher, Karen, made everything look so fun and easy. 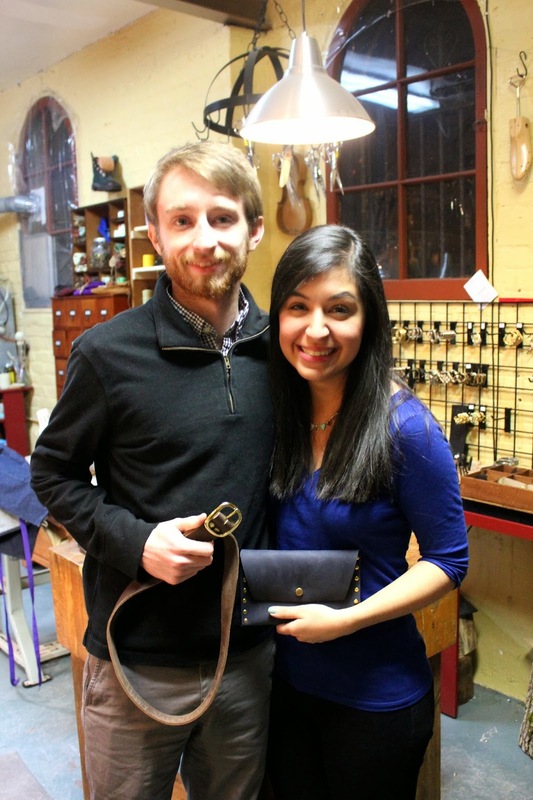 Brian made a belt, I made a clutch, and we're still patting each other on the back for how good they look. We can't wait to go back! I've got to come clean, though. I wasn't very good at any of this. I was constantly calling for Brian's assistance, and poor Karen had to stay in arms reach to fix my mistakes. Brian was a pro, though. He was really into it and was so sweet and encouraging to me. It was really fun to see him in a new element. 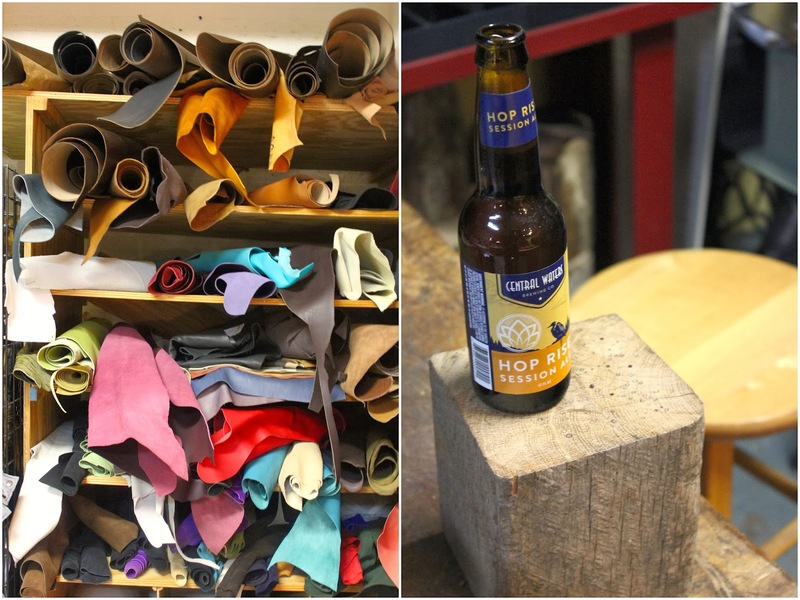 We learned that there are four main forms of leather (did you know fish leather is a thing?) and several different ways to tan it (including tanning using animal brains, how gross is that?). I'm telling you, so much leather knowledge around here now! I'd highly recommend HowAboutWe for Couples, which has really fun date ideas. 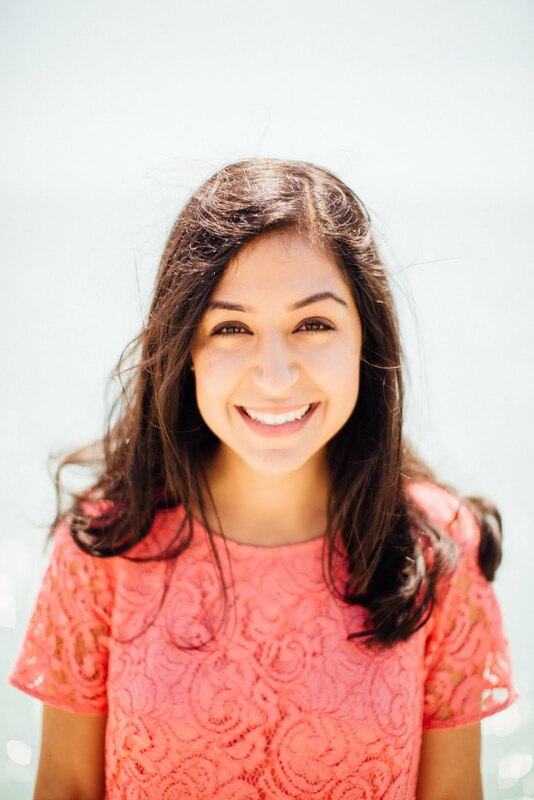 You can browse their dates for free in New York, Los Angeles, San Francisco, Chicago and Seattle, and get $50 off your first date through this link. Thanks so much, HowAboutWe! How fun! Looks like you two had a blast!